Rotary programs improve women’s access to doctors, nurses, midwives, or community health care workers. Rotarians distribute clean birth kits and train health workers in safe delivery of babies. They also teach mothers how to breast-feed, promote immunizations and regular checkups, and distribute insecticide-treated bed nets. In April, Rotary worldwide recognizes maternal and child health as one of our six areas of focus. When mothers are empowered and healthy, and in turn, their families, poverty and hunger can be reduced. By giving communities the help and training they need to take control of their own maternal and child health care, Rotary makes a positive impact on the lives of mothers and children in need, with the support of The Rotary Foundation. 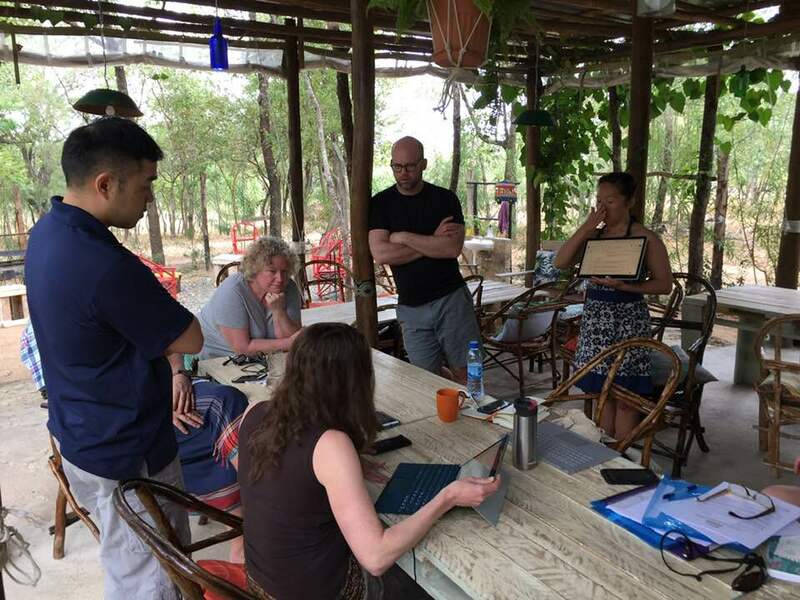 With increased speed of the internet, telemedicine – the use of information technology to provide health care from a distance – is now able to reach remote communities in some of the world’s poorer regions, including our own isolated communities. Physicians can use telemedicine to connect with patients remotely, even examine a patient using a robot, and consult with other physicians all over the world. 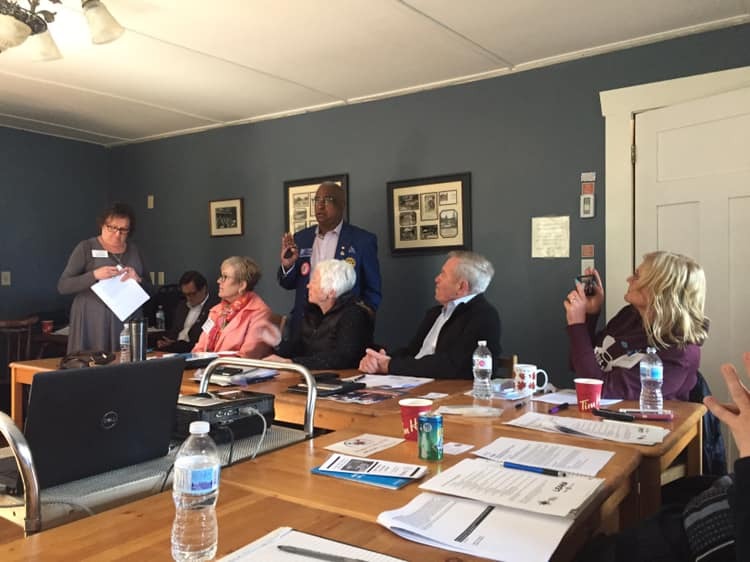 With a global grant from The Rotary Foundation, for instance, a team of health care professionals from Nigeria has been trained in telemedicine. 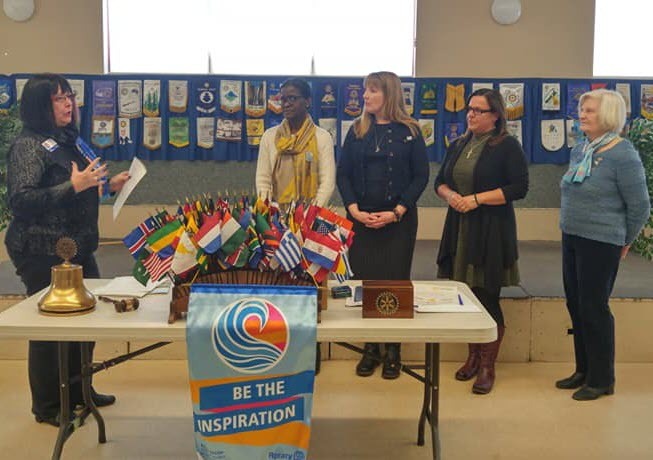 People of Action in Rotary have been taking action over the years to prevent the deaths of an estimated 5.9 million children under the age of five who die every year because of malnutrition, inadequate health care, and poor sanitation. We also take action to reduce maternal deaths by 30% through family planning and ultimately to empower women for their sakes and the benefit of their communities. 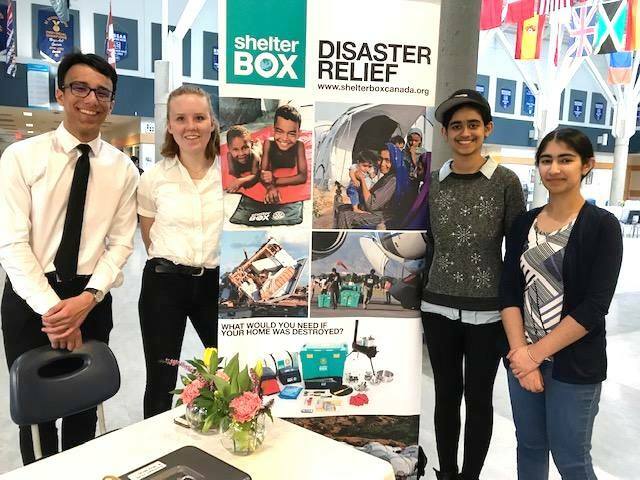 Closer to home, in our District 5040, we admire our members in Terrace and Williams Lake who have been running Starfish Pack programs to send underprivileged children home from school with nutritious food their families may not be able to afford. We know how important it is to raise healthy, educated children. They are our future – for all of us. And on that note of education, the Vocational Training Team is hard at work in Kenya as I write this newsletter. As you read this, the first half of the project will be complete and our BC teachers, along with Team Leader PDG John Anderson, will be home. I hope you have had a chance to follow their time in Kenya on Facebook and their blog. 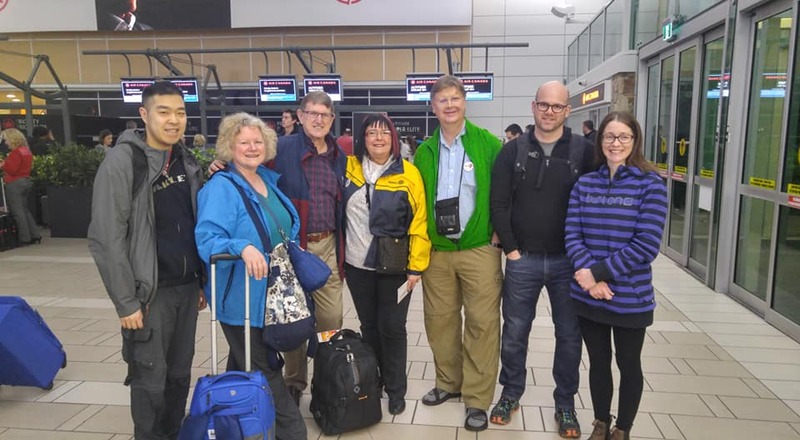 It looks like the return trip of Kenya teachers to BC will be later this year, November/December. 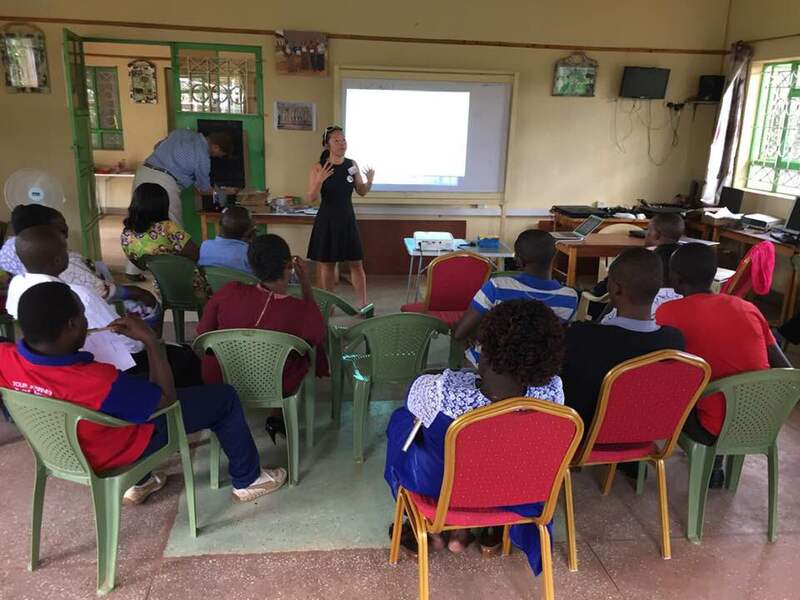 The teachers will have an opportunity to hone their new skills taught by the BC teachers and come with more experience and questions for a higher level of sessions while in BC. There will be a presentation by our BC Team, at the District Conference in May. If you aren’t registered yet, do it now! The Countdown is on! I’ve had quite a busy month visiting Clubs and attending some great events. 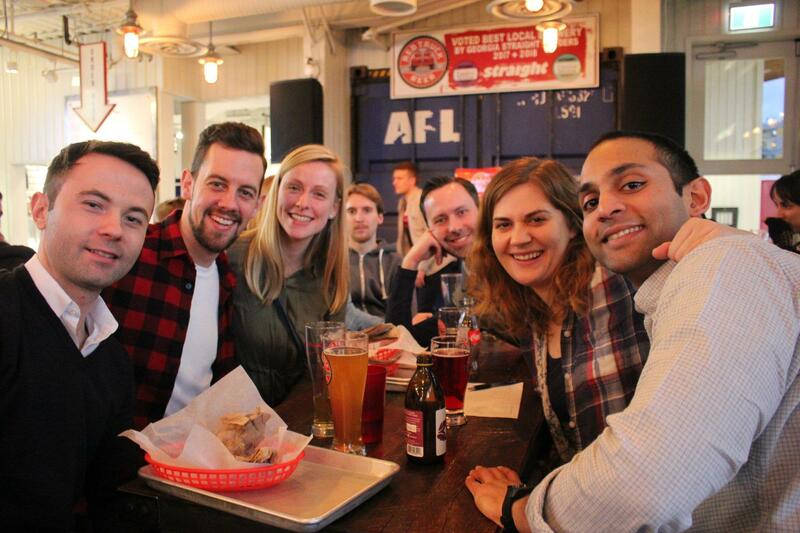 The Whistler Club honored some of their community members with Paul Harris Fellows at their evening social. 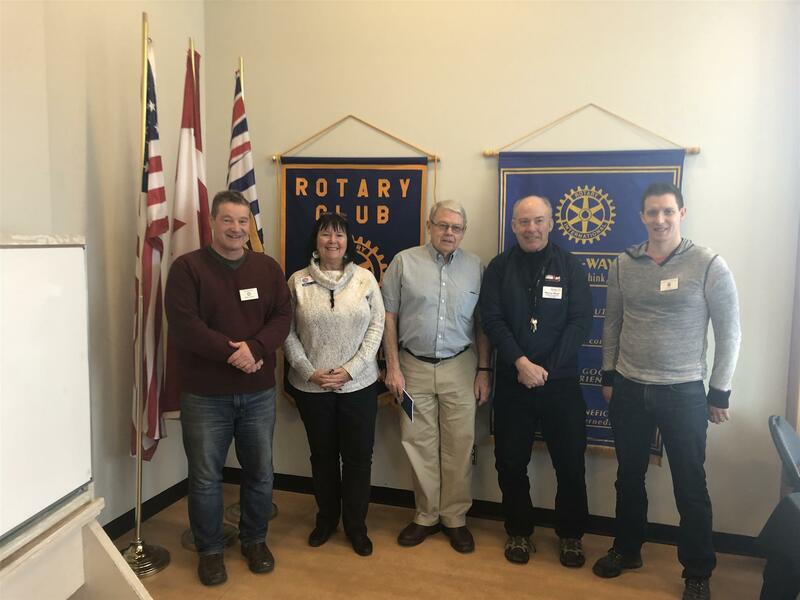 Members from 3 Rotary Clubs were there and I was honored to present Assistant Governor Murray Wood with one for his work both within the club and at the District level with webmaster and Assistant Governor roles. Congratulations Murray and thank you for all you do for Rotary. I started March off with attending a party!! The Rotary Club of Prince George Yellowhead's annual Taste of India! If you haven't attended-you should! Great entertainment, amazing food, over 600 people in attendance which combined to make this event one of the must dos for the citizens of Prince George year after year. Each year the Club choses both Local and International projects to receive the funds raised. 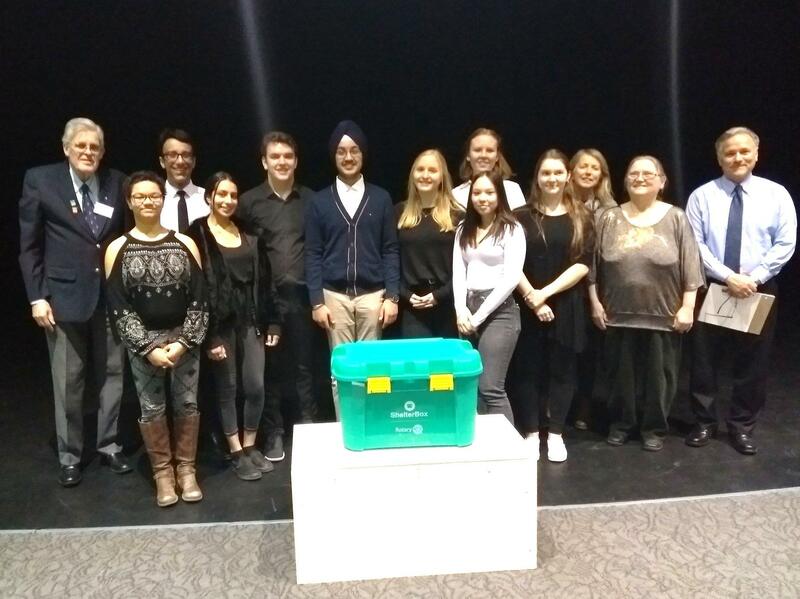 The International recipient this year is partnering with FullSoul Canada to provide medical supplies for labour and delivery in Uganda. How appropriate for our theme this month! I decided since I had never actually experienced minus 28C that I would hang out in the area for a few days. Assistant Governor Bill Hellyer was my guide and we spent 2 days driving in the brilliant sunshine first to Burns Lake and then to Mackenzie. 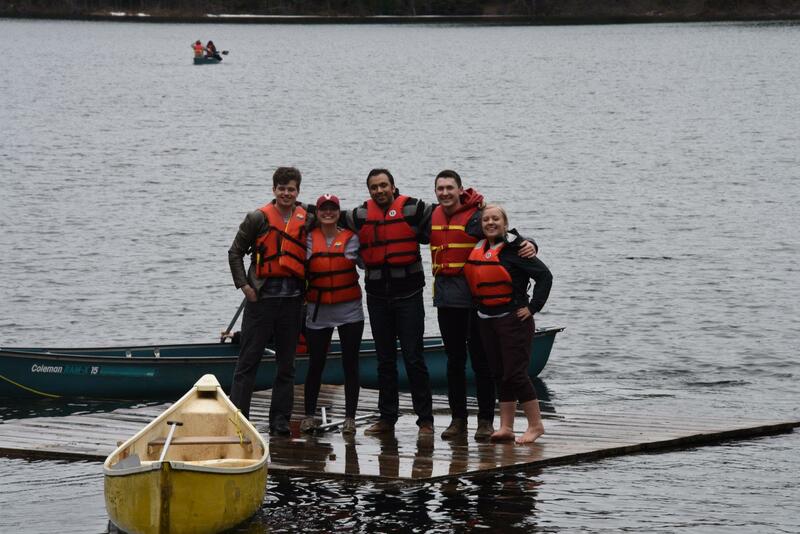 This was a return visit to Burns Lake as our first one was when the fires were at their worst in August. 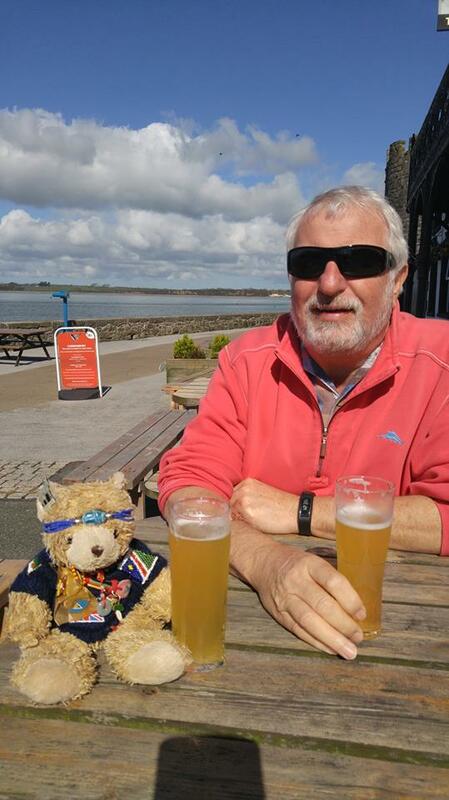 All the Rotary Family were too busy helping their communities to have a meeting. True People of Action! Tuesday March 5th and President Darrell Hill took us on a tour of the club projects including future ones. One of which you and your club could get involved with. After the wildfires this summer the club has been looking for a worthy project and they found one. The Burns Lake Rotary Club will be refurbishing a response fire truck to help fight wildland fires. They would love your support to make this a reality. The club is also applying for a District Grant. If your Club is interested in this project contact President Darrell. 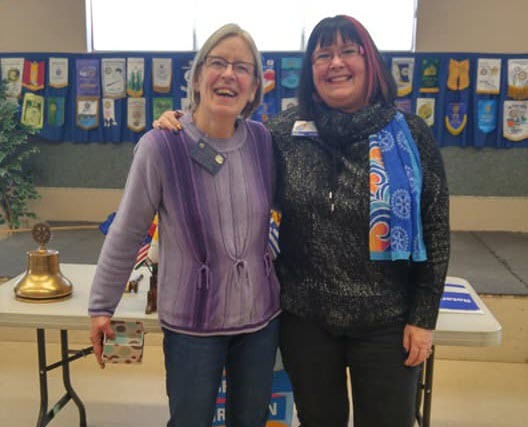 At the Burns Lake club meeting we shared our stories and passion for Rotary. 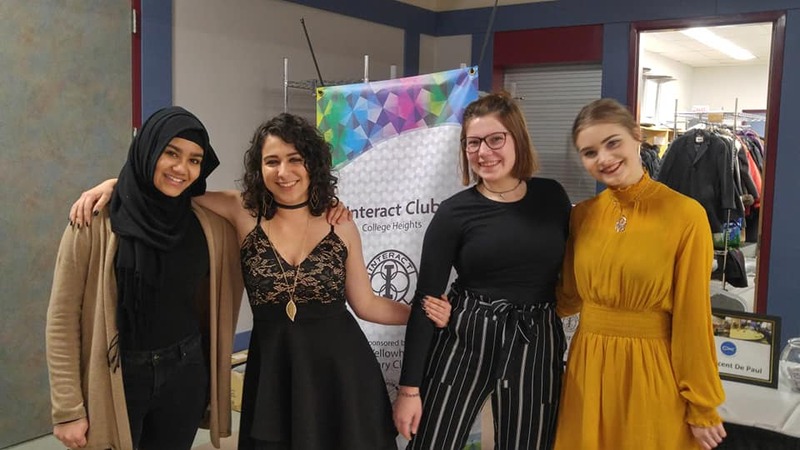 Youth was mentioned allot as this club of 66 years has done so much for local youth and our International Youth Exchange students. This is the club that leads the Tweedsmuir Trek each year. What a way to start an exchange year in a new country! 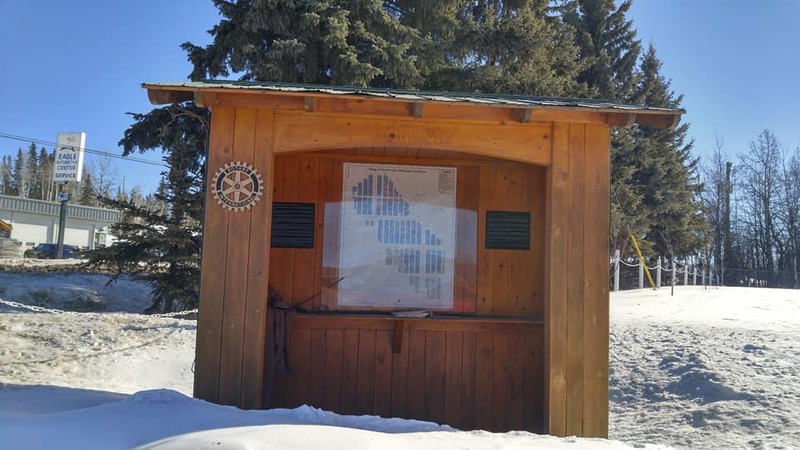 Rotary is very much alive and well in Burns Lake! Thank you for all your Inspiration! 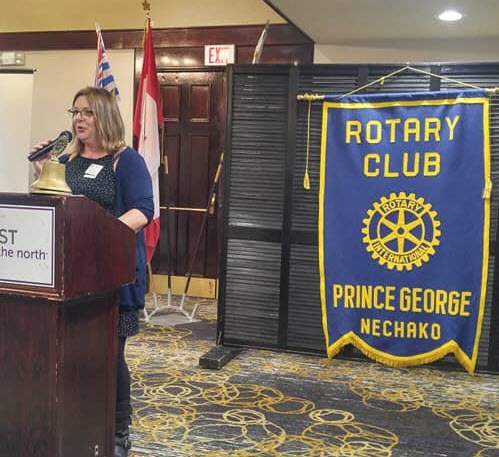 Not sure about you but I just love surprising people and just "showing up" and Prince George Nechako President Lisa Redpath was indeed surprised when Assistant Governor Bill and I arrived for breakfast on March 6th. 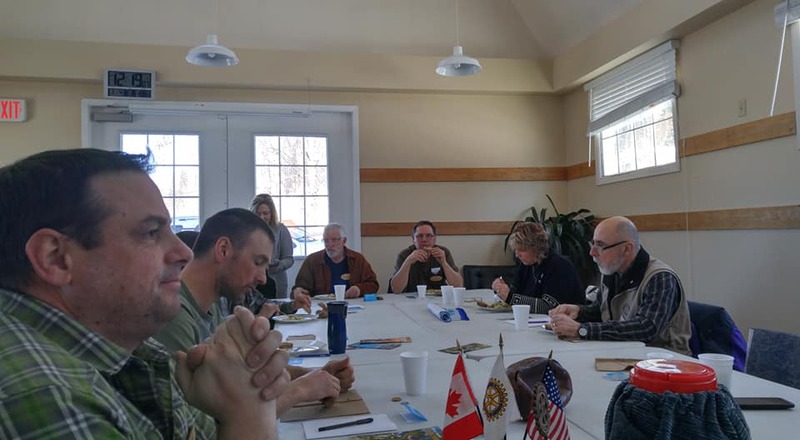 We had a couple hours before we needed to start our drive for the day so why wouldn't we start our day with a Rotary meeting! What a great meeting! 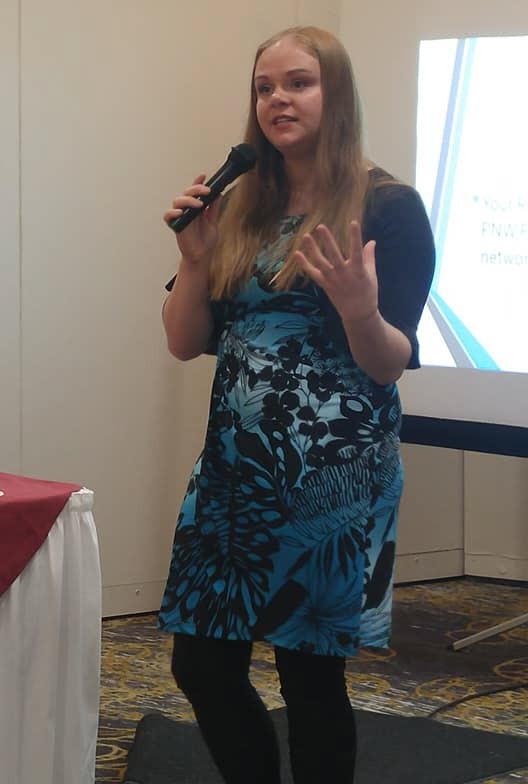 Rotaract incoming President Jessica did a presentation of her experience attending PETS with District 5040 and the 8 other Districts of the Pacific Northwest. Jessica is a very dynamic young woman. I thoroughly enjoyed listening to her passion about Rotary and Leadership. 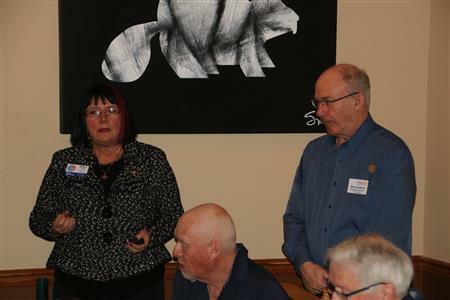 After another inspiring drive found Assistant Governor Bill and I in Mackenzie to attend the Mackenzie Rotary Club's lunch meeting. It was a great meeting talking about opportunities for the club to enhance their member's experience. 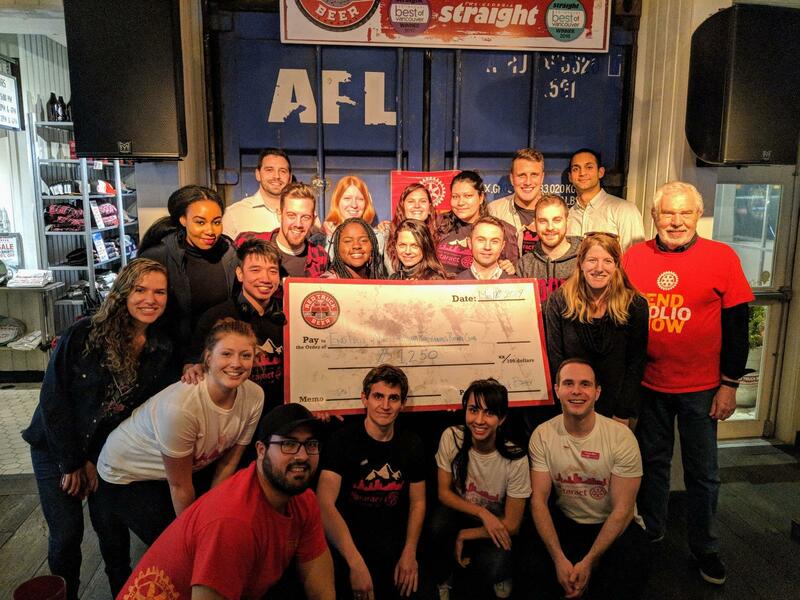 This is a club whose members know that Together they Connect and change lives. They are People of Action with huge hearts! I couldn't resist posting a summer and winter scene at one of the club's community projects, the Skateboard Park! I couldn’t get to the place I stood a few months prior. 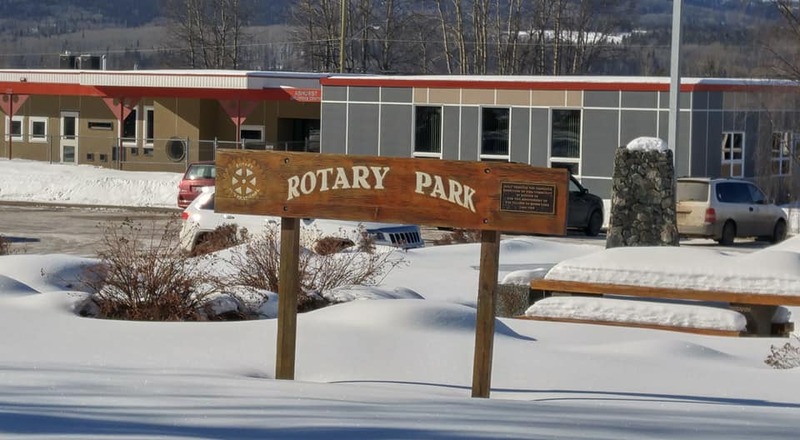 So, the one day that I had to drive myself the sun went away, and the snow fell lightly, most of the day, as I drove to Quesnel to join the club for lunch. President Petrie put me to work inducting the 2 newest Rotarians to their Club and the Family of Rotary. Welcome Emma Dyer and Erin Robinson! What an honor it is to be a part of such an important event. One I know will change both Emma and Erin’s lives and bestow upon them many gifts of the heart. I also was there to thank Cathy Walsh for her continued support of our End Polio Now campaign. Cathy's gift will get us that much closer to keeping our promise to the Children of the World and eradicate this disease from the planet. I was then presented with a check supporting the Vocational Training Team!! 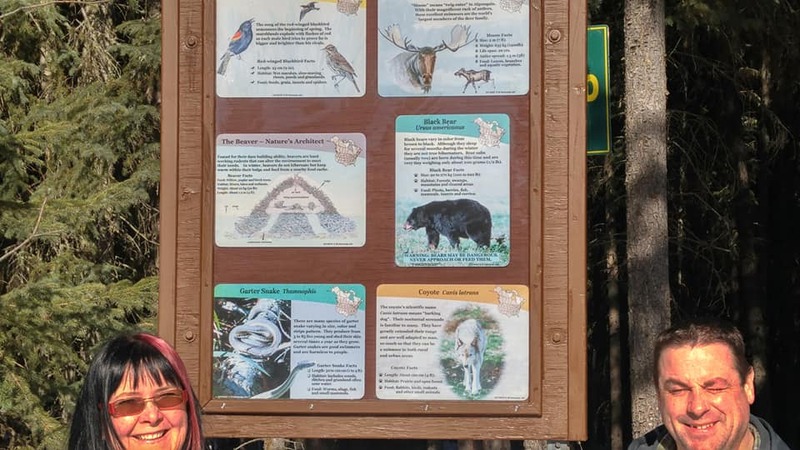 This brought the total number of clubs to 31 supporting this important educational project. I want all of you who support The Rotary Foundation to take ownership of this Vocational Training Team though because of you we took our club monies ($19K) and leveraged with TRF and the Government of Canada Funds and now have a grant of $109K to support the education of teachers in Kenya with 21st century techniques and how to teach with technology in their classrooms. This is significant and every Rotarian in District 5040 has played a part. Thank you!! Congratulations to AG Nancy Eidsvik and her committee who put together a very successful Foundation event on March 9th. There was great attendance from many parts of our District and although I have not heard the final numbers it sounds like over $30K was raised for our Foundation-Annual fund. Most importantly it was a great evening of Rotary Fellowship! Thanks to everyone involved and who attended! There are 3 more Foundation events happening soon with Prince Rupert March 30th, Quesnel April 4th and the Terrace/Kitimat clubs April 6th. Thank you all for your supporting our Foundation, our vehicle to do good in the world. 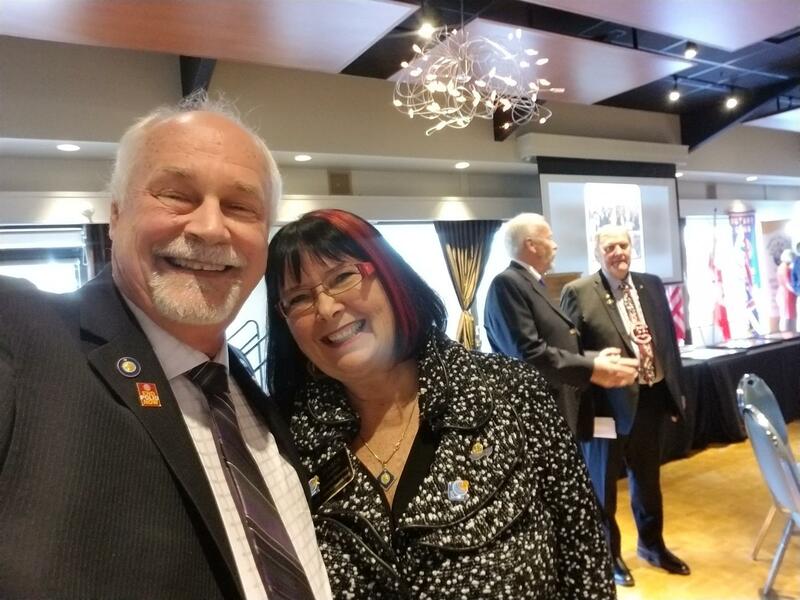 That same weekend DGE Bala ad Vasi hosted the Annual Past District Governors lunch and it was great to see all the District leaders including PDG Art and Lesley from Terrace! 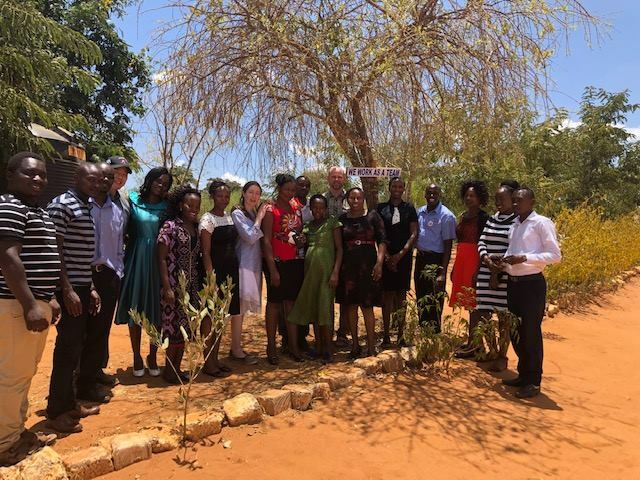 March 13th saw the launch of the Commonwealth Young Women’s Mentoring Programme Africa Phase, with Secretary General of the Commonwealth Baroness Scotland and Faith Wafula Vice Chair Commonwealth Youth Council. 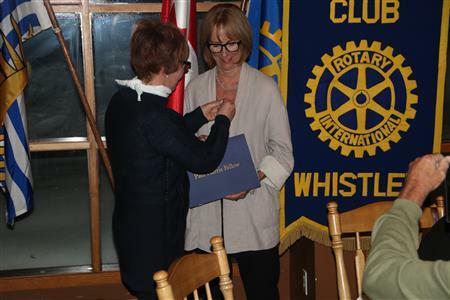 Faith will run the programme in Nairobi with Rotarian Shirley-Pat Chamberlain in Canada. If you are interested, please contact Shirley-Pat. Whew! All this and we are only half way through the month! There are a few things I want to bring to your attention that will be happening during April. Ever wonder what you could get Paul Harris for his birthday, which is April 19th? Well, the Burnaby Rotary Club has figured out just the right thing. A Rotary Act of Kindness. 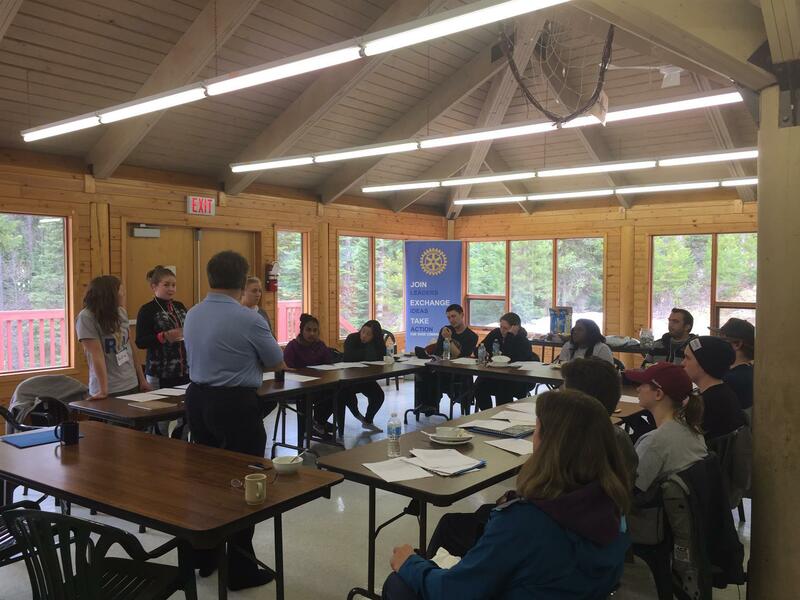 They have started an idea that we hope will span our District this year and the Rotary World next year. Tell all your family and friends and do a Rotary Act of Kindness between April 19th -21st. When you have completed it please go to https://www.facebook.com/rotaryactofkindness & record it. Please DO NOT USE THIS PAGE FOR MESSAGES as we are using it to monitor the number of "Rotary Acts of Kindness" achieved on these dates only. Now imagine this…..just our Rotary Family…..Worldwide……over 4 million hands doing an Act of Kindness. Do you think we could change the vibration of the earth on that day? I certainly do! Talk about Together We Transform and Inspire!! 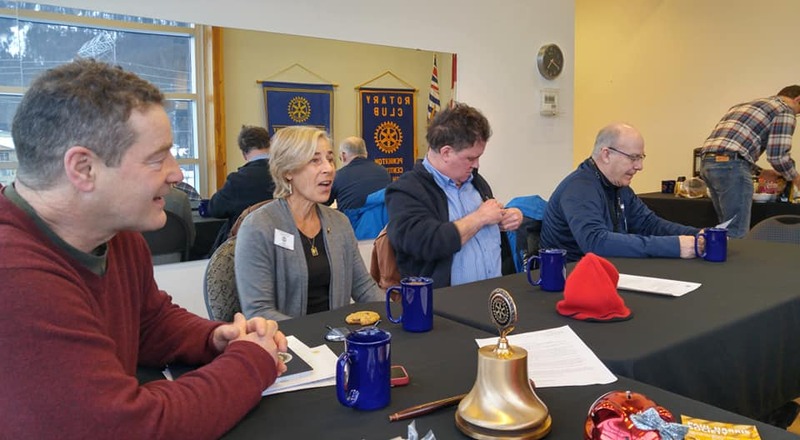 Everyone is invited to attend the Vancouver Rotary Club Lunch meeting on Tuesday April 30th at the Terminal City club, 837 West Hastings in Vancouver, where the special guest and keynote speaker will be our Rotary International Director, Jeffry Cadorette. 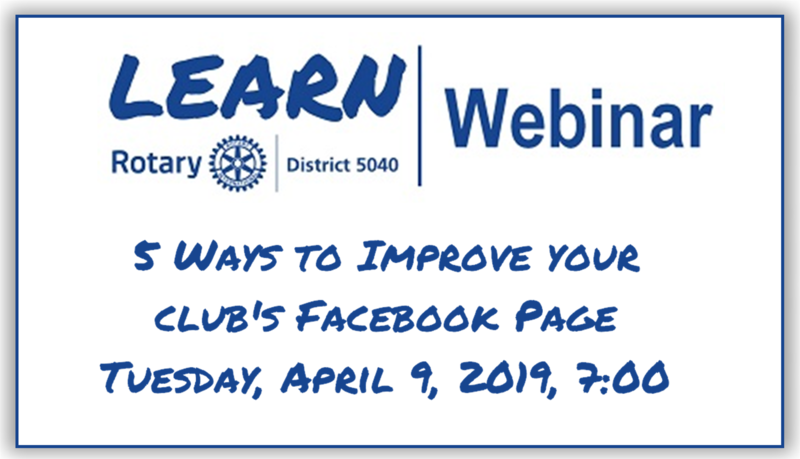 Come and meet Jeffry and hear the very latest from the world of Rotary - let's have a great crowd to welcome him to British Columbia! This is the regular meeting of the Rotary Club of Vancouver, regular guest rates for lunch ($48 incl taxes) will apply. Watch for more information on how to pre-register for this event. That same evening the Rotaract Clubs will host Director Jeffry in Vancouver. I have no doubt that the Rotaractors will be rolling out the red carpet for the event. 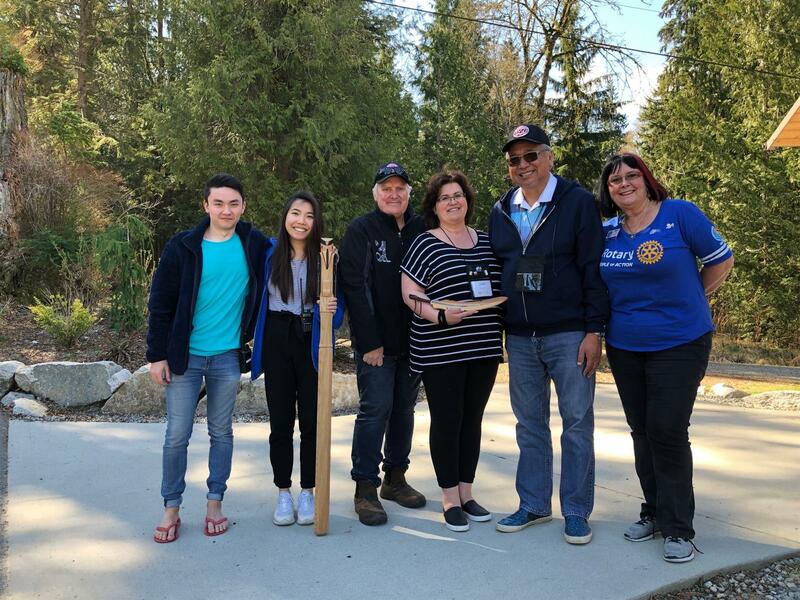 Director Jeffry has worked these couple events into his busy schedule as he is on route to Kamloops and Sunpeaks where he is Rotary International President Barry’s representative at both the District 5060 and our District 5040 conferences. You know what that means, we are really on the countdown, and final stages of our annual District Conference. All the planning of the last several years will be complete and you will experience an amazing lineup of speakers and events over the May 2,3,4,5 weekend. 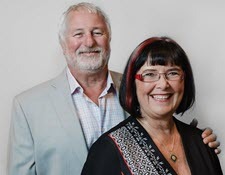 Doug and I are looking forward to seeing you all in Sun Peaks Resort as we Celebrate what People of Action do. 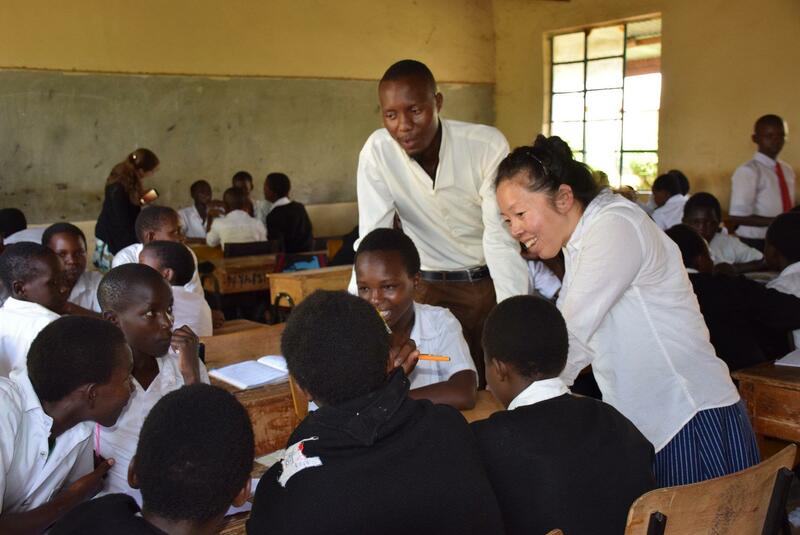 We have all Inspired each other this year to be the changemakers and Make a Difference as we Connect with each other around the world. BECAUSE, Together, we see a world where people unite and take action to create lasting change – across the globe, in our communities, and in ourselves. The Rotaract District Installation Dinner is coming closer! We invite all Rotarians to join us for a night of fun, celebration & networking on May 10th at the Burnaby Mountain Clubhouse. If you haven’t already, you can click here to grab your tickets. We are looking forward to see you at the event! 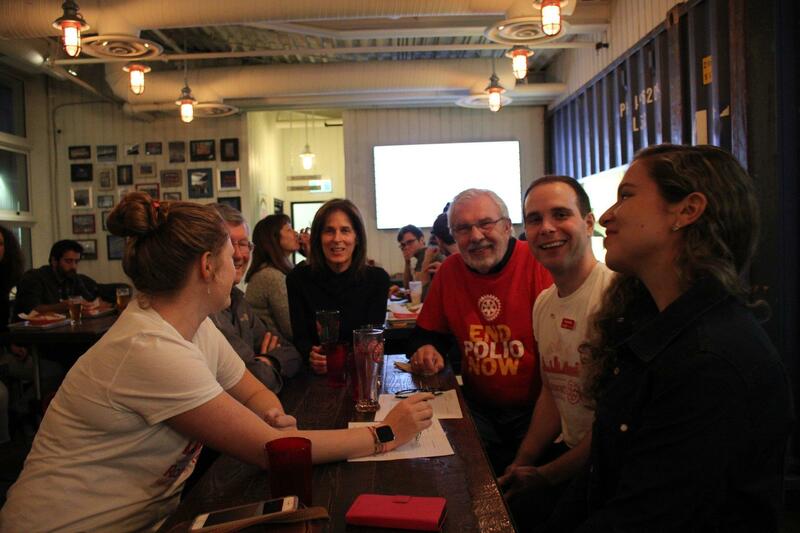 On Saturday, March 23rd, the Rotaractors headed to Port Moody for a Brewery Tour. Thankfully the weather was on our side and we tried several refreshing beverages while socializing and talking about several events organized by the Clubs of our District. As this year’s District Project, we decided to get involved in the BMO Marathon, both as participants and volunteers. The members of our District will either run 42 kilometres and raise money for the YMCA, or support the runners by helping out at one of the water and nutrition stops along the route. We are looking forward to this exciting event! 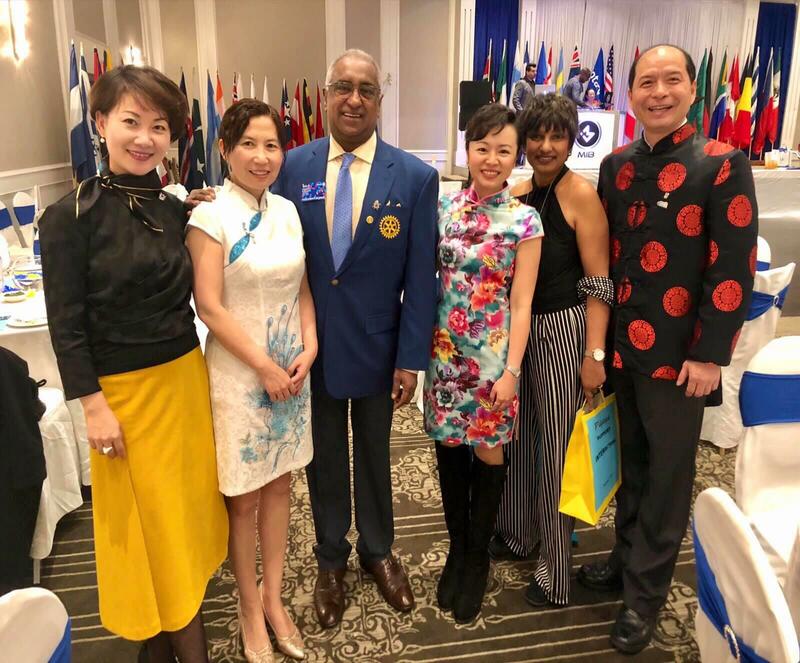 Come celebrate a Bollywood Night of fellowship, food and fun June 22, with your Rotary family, friends and guests, for the installation of our Rotary District 5040 District Leadership Team 2019-20. 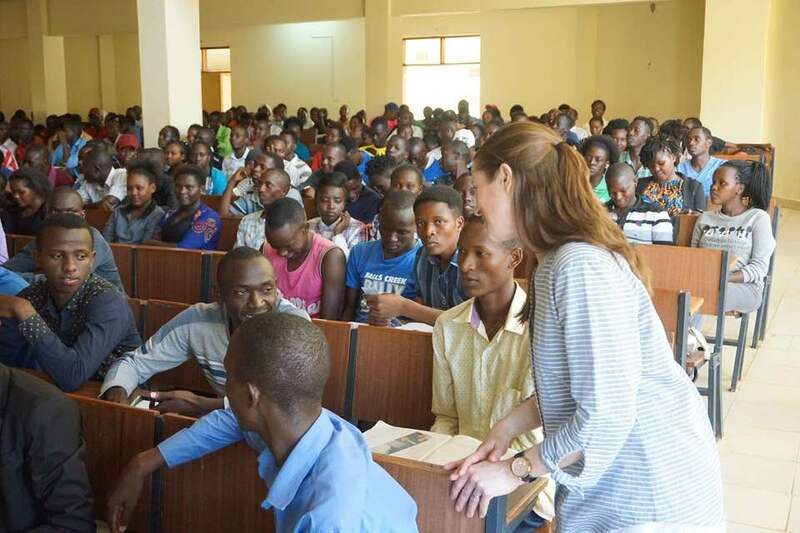 2019 Rotary Peace Fellowship Recipient, Bronwyn Manley, of Australia, recommended by a panel from our Rotary District 5040, was accepted by the University of North Carolina (UNC), her first choice, one of six universities around the world offering Rotary sponsored peacebuilding Master's degree or professional development certificate programs. The other universities are in the United Kingdom, Sweden, Japan, Australia and Thailand. 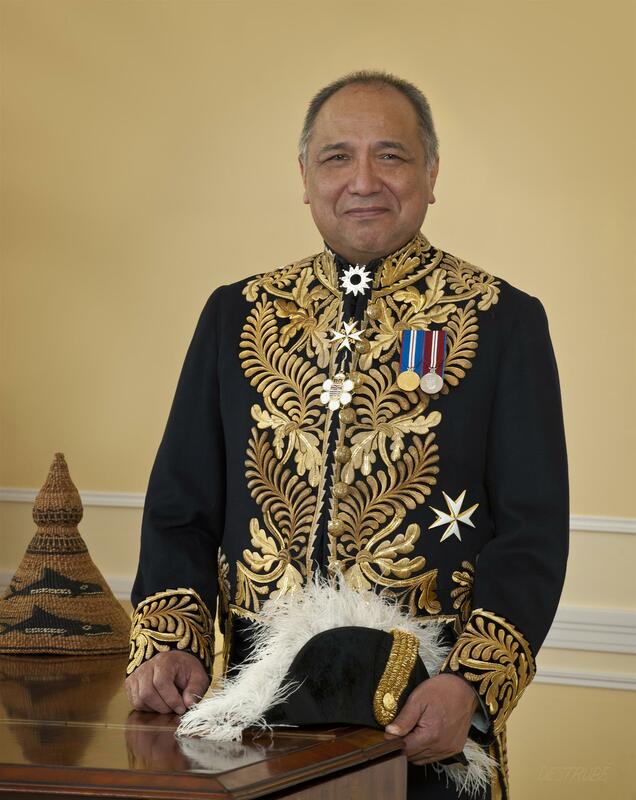 The Honourable Steven L. Point, BC Lieutenant-Governor from 2007 to 2012, will join a conference panel discussion Saturday May 4th highlighting the progress of an innovative and impactful Rotary project in British Columbia - Write to Read BC. Write to Read brings together people who have an interest in increasing literacy equity through access to literacy materials for rural and remote indigenous communities. It delivers books, libraries, computers, tablets and high speed Internet connection to remote First nations communities in BC. A former BC Provincial Court judge and Chief Commissioner of the BC Treaty Commission, Steven Point was BC’s first aboriginal Lieutenant-Governor. 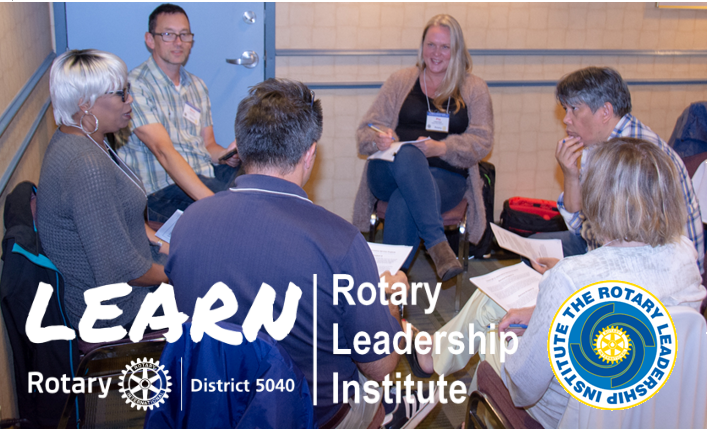 The 2018-19 Rotary District 5040 Awards are announced, including a new category, of Public Image Award. Check out the line up. Nominate your club or one of your members. We can all learn from those who are recognized.